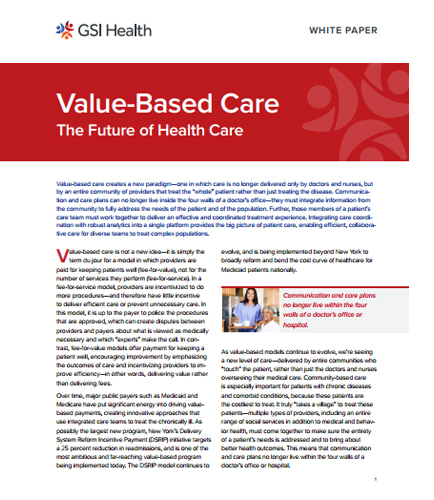 "Value based care in the Healthcare industry"
Value-based care is a kind of model in which providers are paid for keeping patients well (fee-for-value), not for the number of services they perform (fee-for-service). Integrating healthcare coordination with robust analytics into a single platform provides the big picture of patient care, enabling efficient, collaborative care for diverse teams to treat complex populations. This whitepaper discusses about the value based care in the healthcare industry and how you need to do it in an informed way, and with measurable outcomes.